My skin has been a downright b*tch lately. Tons of breakouts around my mouth and dry terribly textured bits at other places on my face. It's hell and nothing seems to be working. So last night I spent a gadood few hours on my iPad and searched the internet for products that might help me. I came up with a shopping list and I went ahead and splurged on the items I wanted to try. First is Effaclar AI, a targeted spot corrector. I have used the Effaclar Duo for quite some time and I really like it. This is an intense spot treatment that targets breakouts and prevents permanent scarring. I've read so many review of people that say this does wonders for their breakouts and also prevents new spots from forming. Sounds like it's just what I need right now. 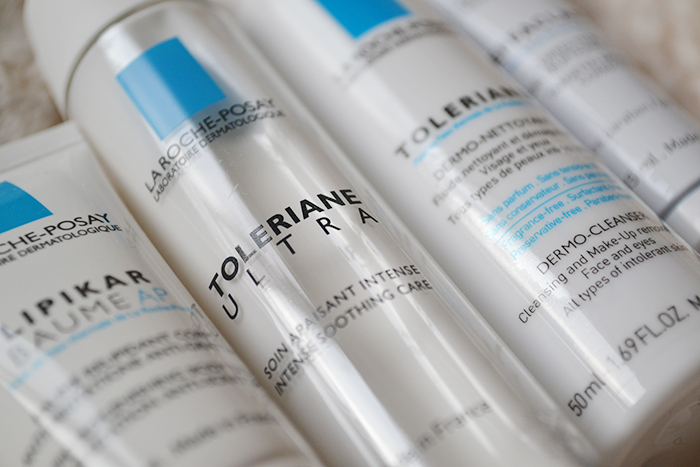 Another things from La Roche Posay that I picked up is the Toleriane Ultra, uber minimalist and super soothing for irritated and allergic skins. I'm hoping this will calm the pain in my spots and sooth the itchy dry bits. I've heard tons of good things about this so I hope it will work for me. With my purchases from La Roche Posay I also got two sample size products. 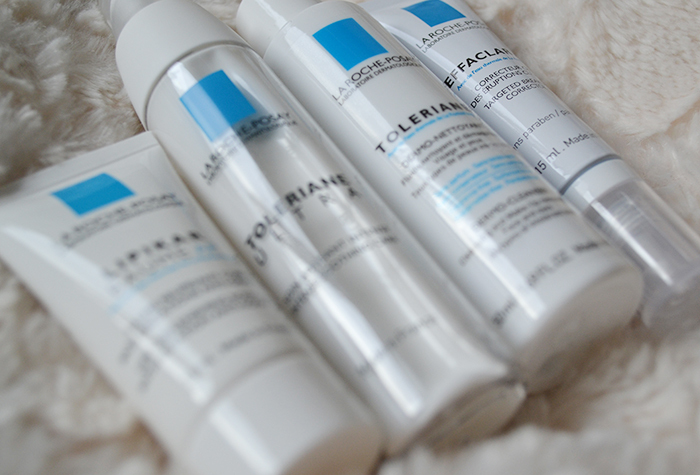 A Toleriane cleansing milk that I already own in full size and love. And a Lipikar balm for the body, which I will probably pop into my bags and use as a hand cream. 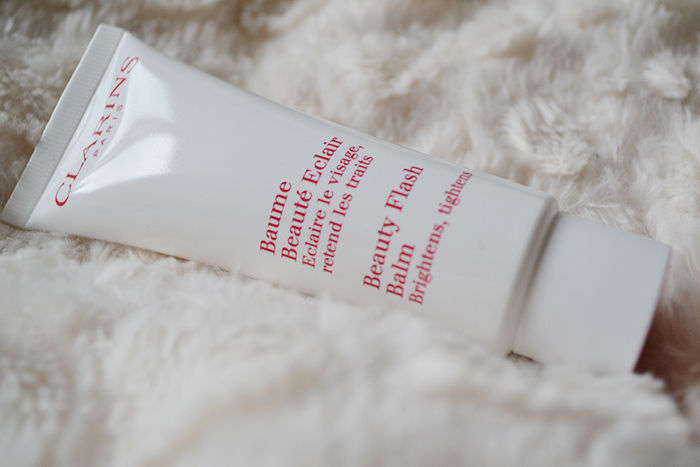 Last is the cult favorite is the Clarins Beauty Flash Balm.This is a cream that brightens and tightens complexions and instantly makes your face glow. It is supposed to moisturize the skin comfortably for hours. Lisa Eldridge says she loves it, so it must be great. Just kidding, but I am going to put it to the test and see if it works for me. Those are the things that I got in my skincare splurge, like I really needed any more products. But I am hoping these products work for me and will improve the condition, even if just a little.